The most popular Partagas Limitada is now available in regular production. 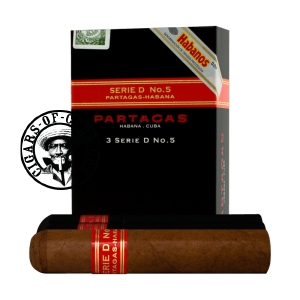 This vitola formed part of the 2008 Limited Edition series and was very much appreciated by those smokers who wanted to enjoy all the flavor of a Partagas Serie D, created for Habanos with a band gauge of 50, but with a shorter duration than the Serie D No. 4. Now available in Tubos format!